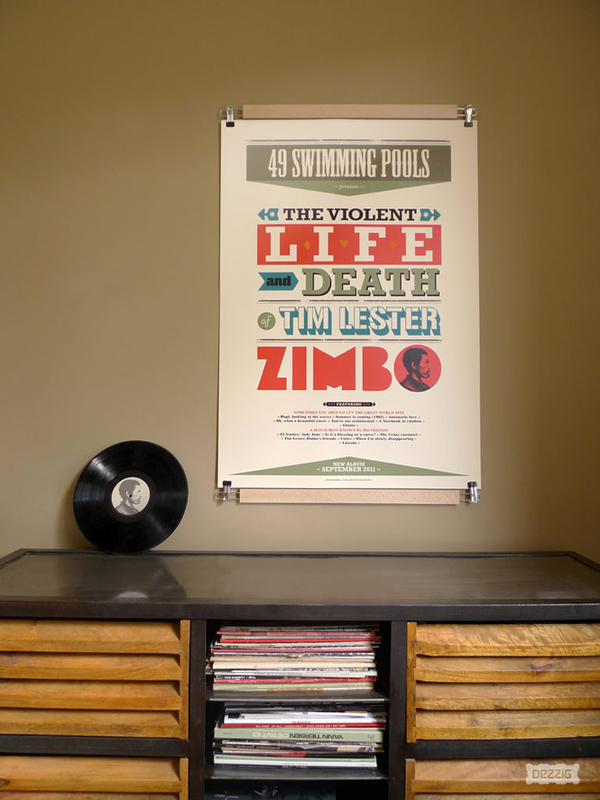 As I was working on the conception of 49 Swimming Pools' album cover entitled "The Violent Life and Death of Tim Lester Zimbo", I created an typographic composition with this title. 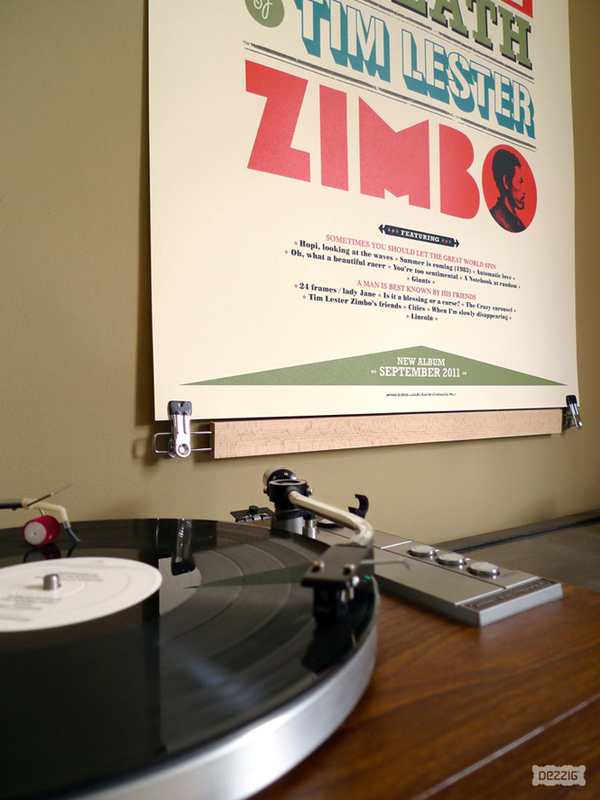 I was willing to print a screen-process poster refering to the graphical atmosphere of the American independent musical scene. The project was achieved thanks to the help of my friend Stephane Constant, this poster was printed in a limited edition (numbered and signed) of 100 copies.